At Rowland Hall, we believe that students who are deeply engaged in their learning today become thoughtful citizens ready for a dynamic tomorrow. Through meaningful collaborations with their passionate teachers, Rowland Hall students develop critical thinking skills to discover, analyze, and reflect on what they learn. 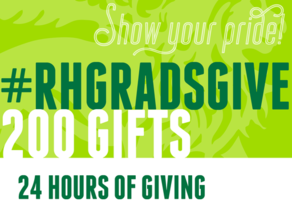 Support Rowland Hall and our vision of inspiring students who make a difference. Connect with other Winged Lions on GiveCampus!